MTech Ballistic Assisted Open Serrated Folding Pocket Knife Tanto | BUDK.com - Knives & Swords At The Lowest Prices! 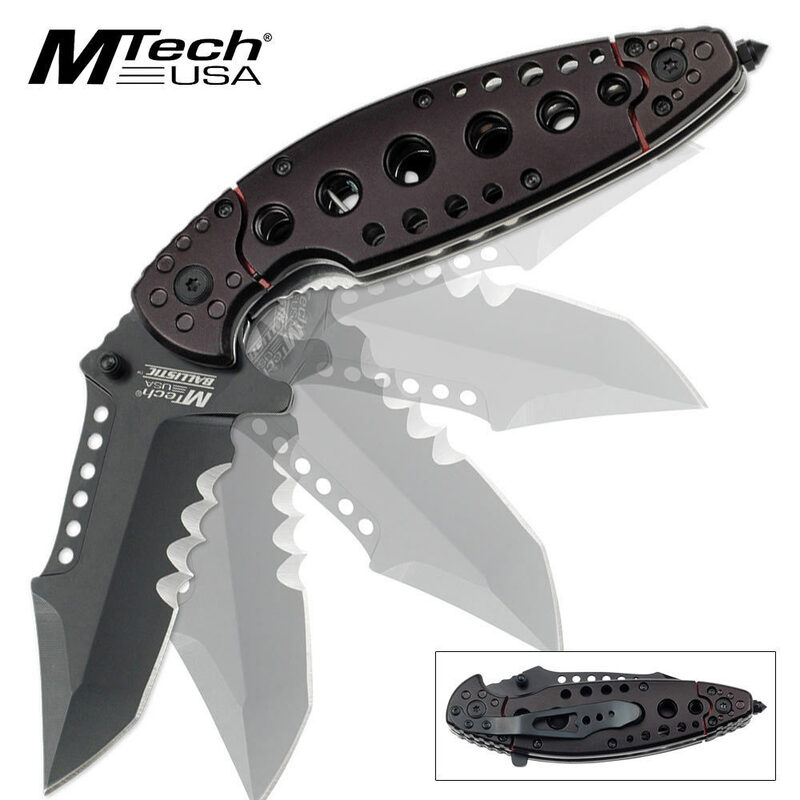 This Ballistic assisted-open folding pocket knife from MTech features a modified tanto point partially serrated stainless steel blade with a non-reflective black finish. Access the assisted-open mechanism with the built-in blade spur. The two-tone aluminum handle features a crushing pommel spike and a pocket clip.